I know several people who will be very happy to see this deal! 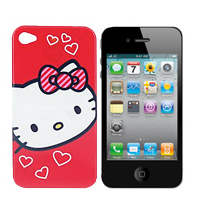 Nomorerack.com is offering a FREE Hello Kitty iPhone Case today. You just have pay $2 in shipping. Head over to Nomorerack.com here and see this deal and more! Just a note, you won’t get this in time for Christmas but it’s still a great gift idea to hold onto!